SteelSeries prepping mouse with 32 x 32 pixel screen? UPDATE (March 6, 2012): Looks like we won't be getting a 32 x 32 pixel screen but a Sensei [RAW] instead. Bit Tech writes SteelSeries seems to be working on a new gaming mouse that integrates a 32 x 32 pixel display. The site speculates the screen may be used as part of a macro mode, enabling gamers to see if the mouse is correctly set up for their individual game. If it is a display, it's a low-resolution one: individual pixels are visible, with each taking the form of a single-colour circle. 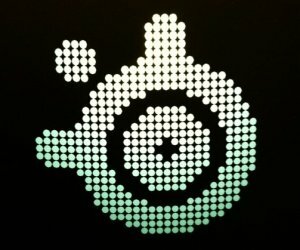 Judging by the sample image, which is the SteelSeries logo, the display measures just 32 pixels wide by 32 pixels tall. Assuming it's not just a stylised light-up logo, that's an interesting measurement: most operating systems use icons measuring 32x32 pixels and multiples thereof. As a result, it seems likely the secondary display is designed for icon use.